Which is better… a team of high-performers or high-performing team? Sounds like a trick question, right? I promise you there is a right answer. Choose correctly and your team will perform well above and beyond the average team without burning out. Choose incorrectly and you will end up with a toxic work environment, poor performance, absenteeism and high staff turnover. 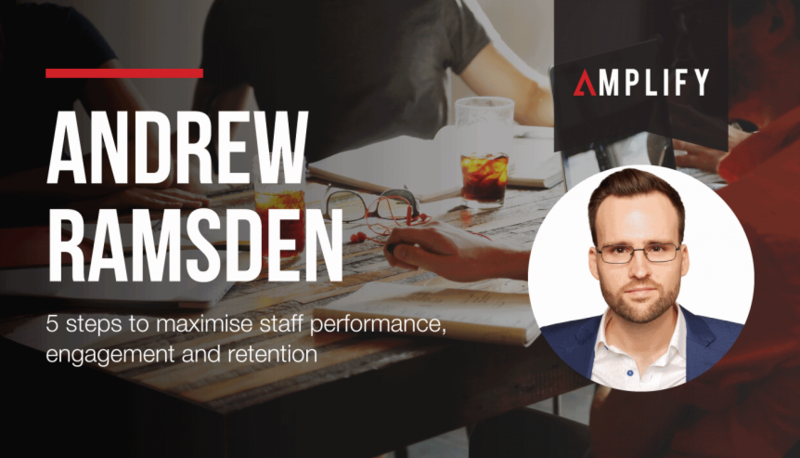 This article covers a step-by-step approach to maximising staff performance, engagement and retention, and borrows from aspects of the 6 superpowers of great leaders, in particular INSPIRATION. … and they're right. Well, mostly. You can re-adjust attitude, and make larger changes over time, but it’s hard work! Much easier to recruit people with the right attitude, then train them up in skills they need. Obviously this isn't always feasible. Sometimes you need someone with the right skills to hit the ground running. Consider using contractors for this type of work. They have the skills, and if they're not the right fit for your team or culture, then you don't have to keep using them. Other times the skills you need take many years to develop, so it’s not necessarily a clever move to hire someone without the skills you need, even if they have the right attitude. In this case aim for both skills and attitude. And if you can't get both, have a think about whether this skill is part of your core business or if you could look at outsourcing this work instead. If you need someone in-house, then hire someone with the skills you need on a trial and keep working with them around the team culture and attitude needed. Same for those staff you already have in your team. Follow the rest of the points below, keep talking about the attitudes and culture with the team. And if you can reach a critical mass of team members who have the right attitude, those who don't fit will usually come on board or find a job elsewhere because they don't feel like they fit. But this can take time! Hardworking – you need people who deliver. They either work hard or smart or preferably both, but the commitment to delivery is key. You may have other things you look for so feel free to add other attributes into the mix. But remember, some preferences you have in the way you work may be both a strength and a weakness. The last thing you want is a team of mini ‘yous’ or ‘yes people’ following you around. That approach will amplify what you do well (a little) but you'll significantly amplify what you don't do well. Diversity is the key to mitigating this risk. You need people with different perspectives and views to help you see into your ‘blind-spots'. These unconscious cognitive biases can be difficult to address, but being aware that they're there is the first step. Actively recruiting for diversity is the next step, and an important one. Then remember to encourage diverse opinions once they're on-board, some ideas around this to follow in step 5 below. Also remember this can take time to gel. With new teams and team-members, there's always a storm before the calm, i.e. storming needs to happen before a team can perform. This is a no-brainer. And you hear about it over-and-over again, to the point that you're probably sick of it by now. Funny thing is, we still often forget to do this explicitly enough in the workplace. We assume our teams just ‘get it' already, without having to talk about it or otherwise clarify it. Here's a free tip: Your team doesn't get it like you do. And sometimes, you're not entirely clear yourself. So, you could just come up with mission and vision statements for your team, some milestones, a list of what's in scope and out of scope, write it up and send it to them. But that would be a missed opportunity. There's nothing wrong with telling your team that you have a high-level direction, but that you’re going to establish the vision together, then get them involved in the process. You'll use their diversity and experience to develop a more robust vision together. You'll also end up with increased passion and buy-in from team members, not to mention increasing their clarity around what the vision is because they have been involved in the process. Take the team offsite for a day or half-day. Run a series of workshop activities and find creative, constructive ways to develop the statements, artefacts and values you need as a team. One approach is explored in step 5 below, but there are many great workshop activities you could use. Consider bringing in a dedicated facilitator to help. Facilitation may not be a strength of yours (yet), but even if it is, a separate facilitator that you brief well beforehand can help design workshop activities that get the desired outcome and allow you to be more ‘present' and take part in the conversations. Just remember to allow your staff to express themselves and not shoot down their ideas or dominate the conversation. Sure, pull them in if they get really far off-track, otherwise stick to gentle realignments and reframing during the day. For example, say ‘yes, and…' or ‘true, but it's really important to consider…', rather than ‘no' or ‘but'. You can always refine what's produced after the day, but if you sustain a safe, constructive environment on the day, staff will feel trusted, they'll contribute more, and they'll feel ownership and passion for the resulting vision. This is about culture, and it's established through your words, actions and even non-verbal communication over time. It's important to balance a sense of responsibility and accountability in staff, but have them know they are supported and won't be torn to shreds if they make a mistake. Remember: Fear motivates people well in the short term, but longer-term it leads to poor staff morale and mental-health issues. To motivate them longer-term you need to align staff with a vision they feel is important and they are passionate about (refer to step 2). Staff feeling like they are trusted, respected and believed in. Tell them you trust them with the work and encourage them to give it a go. This approach empowers your staff, resulting in less decision-making bottlenecks and higher staff satisfaction because they know they are trusted and have control over their domain. Sometimes they'll make mistakes and cost you money. However, know that the efficiencies and positive impact on team performance will outweigh the losses. I've seen workplace cultures developed and explicitly documented that focus on recruiting and celebrating individual high-performers. These work environments very quickly become toxic! Remove support for the work others are doing so that they achieve less! Team members in these environments don't tap into each other’s strengths because they want to be seen to be the one who delivered. But worse, it becomes a highly competitive environment, and some staff will resort to criticising the work of others and even spreading rumours about them. This leads to low staff morale and cohesiveness, staff become stressed and anxious in the workplace. Ultimately staff transition into ‘victim' or ‘survivor' modes, checkout from their commitment to work, start taking mental-health days, and then leave and find better places to work. Don't get me wrong, a little healthy competition and disagreement is a really good thing, but don't let it become the default approach to work because the more energy focused on outdoing the competition is less energy focused on achieving what the team needs to deliver to the best of the team's abilities. If you want to see what multiple people/teams do with a task, don't just quietly delegate it to both of them and see what they each come back with. This is poisonous. When the people involved find out they're working on the same thing as someone else in isolation and in competition, they don't feel trusted, and they know someone's output is going to be wasted. Instead, communicate it to the team as a friendly competition and be inclusive. Set boundaries around it (time, money, amount of effort). Focus the competition on a particular concept or deliverable. Keep it fun. Celebrate the results, then make a deliberate point of re-focusing everyone's attention on the next big team milestone. You reinforce this culture by celebrating team milestones together as a team. You can (and should) mention specific contributions that team members made, but also acknowledge that everyone contributed and should be proud to celebrate the achievement. If your team doesn't have milestones that everyone is involved with, make some up. They can't be completely arbitrary, they need to contribute towards your vision, but this is your job as a leader to help your team members understand how they contribute to the bigger picture and feel like they're working together as a team. We are social animals, and working towards and celebrating achievements as a team is far more motivating for staff than focusing on individual goals. It's working towards team targets and milestones that brings team performance up from 100% to 130%. Yep, the performance of the whole is greater than the sum of its parts. Now, some of you are going to ask me how this is mathematically possible, or argue the semantics… Just know that you'll see a significant performance boost as a result. If you want to explore different perspectives (hint: you do), don't rely on our default approach to arguing it out. You: I think we should paint all the roses red. Me: If we do that, then we'll have to keep re-painting as the paint fades and new roses bloom. You: But they'll attract more admiration for the queen! Me: True, but the paint is likely to kill the flowers. This didn't go anywhere. Arguments never do. And they leave team members at odds with each other. It’s an adversarial mindset. The team can vote on the best option here, or you can make the call if you feel it's a decision at your level of delegation, or you can escalate the decision to someone else if you feel it's their decision to make, but you can now inform their decision with the analysis performed by your team. This is a quick version of De Bono's approach to parallel thinking (i.e. 6 thinking hats). Getting all team members to think about the positives together then the negatives together takes them out of direct competition with each other. This approach is known to achieve better ideas, deeper analysis and leaves the team members feeling really good about each other. Feel awkward about running this type of a process in a meeting? I get it. The skillset required to do this well is the art of facilitation, and it takes practice to feel confident with. But it's a skillset worth investing in and practising because not only can you use it to support team culture, but it can also be used to collaborate on your team's vision and planning, or be used to generate quality input and strong buy-in from partners and stakeholders. You guessed it… a high-performing team will beat a team of high-performers every time. A high-performing team is constructive, not adversarial, supportive of each other’s deliverables, focused on team achievement, not individual performance. Sounds too good to be true? It works, and it's repeatable. Just ask Matthew Perry. Have you seen examples of where a high-performing team has flourished where you work? Or where the team has struggled to come together? We'd love to hear about it. Leave a comment below and tell us what's worked or not worked for you?